Flexomation flexible part feeders are used in conjunction with machine vision systems and industrial robots. The feeder is used to convey parts to the Field Of View (FOV) of a vision system. 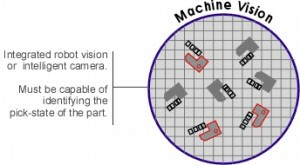 The vision system locates pickable parts in the FOV and communicates the part location data to a robot, which in turn picks the part from the feeder unit and then places or assembles it. If the vision system cannot find pickable parts, the feeder controller them has the feeder take appropriate action such as feed more parts into the FOV, feed parts forward/backward or, depending on the feeder, flip them. 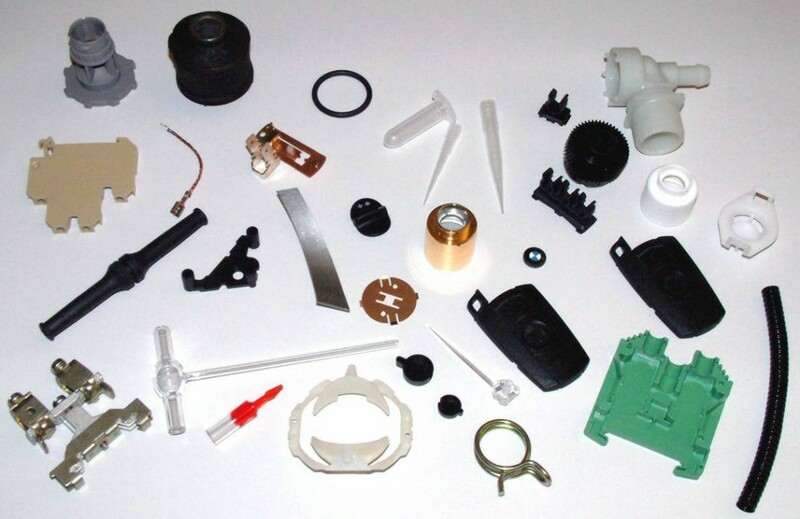 Flexomation’s feeders can handle a wide variety of parts, with a small variety from successful applications shown below.